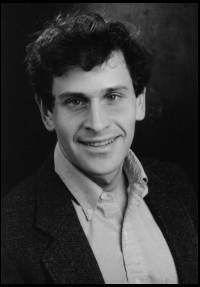 David Galef is a serious literary scholar and a writer of fiction, as demonstrated by both his book-length works and his ever-growing number of published articles, reviews, and short stories. Born March 27, 1959, in New York, Galef received a B.A. from Princeton University in 1981, which he followed up with an M.A. in 1984 and a Ph.D. in 1989, both from Columbia University in New York. He has taught in a number of places, including a stint as an English teacher at the Overseas Training Center in Osaka, Japan, from 1981 to 1982, an experience which was to offer him source material for several of his written works. In 1989, he joined the English Department faculty at the University of Mississippi, where today he is a professor of English. He has a great love for bicycling and is a member of the U.S. Cycling Federation and the Mississippi Cycling Association. As both a practicing literary scholar and fiction writer, Galef's work runs the gamut between serious literary criticism, such as his book The Supporting Cast: A Study of Flat and Minor Characters (1993), and accessible, often humorous fiction, which is amply demonstrated by his first novel, Flesh (1995), and Turning Japanese (1998). His work also includes children's books such as The Little Red Bicycle (1988) and Tracks (1996), and two books of Japanese proverbs which he compiled and translated. In addition to his book-length works, Galef's work has been represented in a number of anthologies and periodicals. His work has appeared in British Writers, Supplement II (edited by George Stade, Scribner, 1992); The Columbia History of the British Novel (edited by John Richetti, Columbia University Press, 1994); and John Osborne: A Casebook (edited by Patricia Denison, Garland Publishing, 1994). He has contributed more than a hundred articles, stories, poems, and reviews to journals, newspapers, and magazines, including Newsday, Bicycling!, Quarry, Prism International, Amazing Stories, Cosmopolitan, and The New York Times Book Review. Flesh. Sag Harbor, N.Y.: Permanent Press, 1995. Turning Japanese. Sag Harbor, N.Y.: Permanent Press, 1998. Laugh Track. Jackson: University Press of Mississippi, 2002. The Little Red Bicycle. Illustrated by Carol Nicklaus. New York: Random House, 1988. Tracks. Illustrated by Tedd Arnold. New York: William Morrow & Company, 1996. The Supporting Cast: A Study of Flat and Minor Characters. University Park: Pennsylvania State University, 1993. (As editor) Second Thoughts: A Focus on Rereading. Detroit: Wayne State University Press, 1998. (As compiler and translator) Even Monkeys Fall from Trees, & Other Proverbs. Illustrated by Jun Hashimoto; foreword by Edward G. Seidensticker. Rutland, Vermont: C.E. Tuttle Co., 1987. (Author and translator) Even a Stone Buddha can Talk: The Wit and Wisdom of Japanese Proverbs. Illustrated by Jun Hashimoto. Rutland, Vermont: C.E. Tuttle Co., 2000. Berona, David A. "Book Reviews: Fiction." Review of Flesh. Library Journal 120.5 (15 March 1995): 98. Bogey, Dan. "Word of Mouth." Review of Flesh, et al. Library Journal 120.18 (1 November 1995): 136. Chance, Rosemary, and Erlene Bishop Killeen. "Where the Mind Wanders: Childhood Fantasies." Review of Tracks, et al. Emergency Librarian 25.1 (Sep/Oct 1997): 58-59. Dole, Patricia Pearl. Review of Tracks. School Library Journal 42.4 (April 1996): 108. McCombie, Brian. "Adult Books: Fiction." Review of Flesh. Booklist 91.16 (15 April 1995): 1479. Peterson, Lauren. "Books for the Young: Fiction." Review of Tracks. Booklist 92.17 (1 May 1996): 1511-12. Sayers, Valerie. "Pomp and Circumstance." Review of Flesh. New York Times Book Review 144 (21 May 1995): 35. This page has been accessed 4442 times. About this page counter. Last Revised on Monday, November 9, 2015, at 04:35:09 PM CST.